According to the RIAA (Recording Industry Association of America), sales of music in physical form has passed digital download sales for the first time since 2012. This is great news! 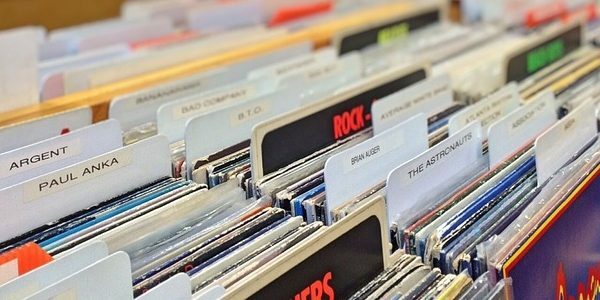 While CD and vinyl sales are up, digital download sales DROPPED 25% last year in 2017. Wow! Perhaps younger music consumers are beginning to discover that recorded music on a form you can hold in you hand does sound better. All the burpy, buzzy and squashed MP3s have finally met their match. 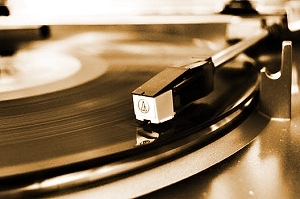 Could it be vinyl that has won the day for the Music Industry? I can remember the good times of the 1970s when the recording industry was at the peak of its analog art form. The big toy to have was the best component stereo one could afford. Slowly we saved up to trade in for a better amplifier, turntable and speakers. 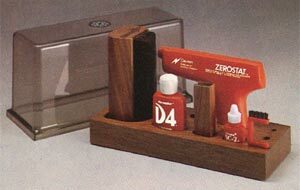 My setup in 1979? I had a Pioneer SA-8500 for the amp. My turntable was a Techniques SL-D2 direct drive with an expensive AT cartridge which I can’t remember the model number. I had great speakers from a new company called Polk Audio – they only had 4 speaker systems at the time. I had the “Monitor 5” pair which I still have stored in the original boxes. An AKAI GX head cassette – but I can’t remember the model. At the time I had a TEAC 2340-SX 4 track reel to reel for my early songwriting recordings and experiments. I also had a Pioneer RT-701 reel to reel to mix down to and for listening. Also – a small Yamaha 6 channel mixer with spring reverb and all the basics like panning. The signal was pretty clean through it. 60db S/N was great to get back then! I always used my Discwasher cleaner and stylus cleaner before every play. It was quite a reverent ritual to go through without fail! We had listening parties at the friend’s house who had the best listening environment. Sometimes we would put together a killer stereo system by bringing along our best component to add to the party. In the ambient light of candles, we would listen to an entire album side from start to finish. A quick break if nature called only while the album was being flipped over while others refreshed their beverage of choice. Music was truly an experience then. It should be experienced like that once again. Let dad get out his old copy of a Moody Blues album. Maybe “2112” by Rush? Try “Aja” by Steely Dan! So true, Tony! My favorites in the ’70s for listening was Yes – “Fragile”, “Tales From Topographic Oceans” and “Relayer”. Also Pink Floyd’s “Dark Side of the Moon”, “Wish You Were Here” and Neil Diamond’s “Touching You, Touching Me.” Oh, and Led Zeppelin’s “Houses of the Holy”, “Physical Graffiti”, and “Led Zeppelin IV.” Plus, Joe Walsh’s “The Smoker you Drink the Player you Get”, and anything by CCR, The Beatles, Jethro Tull, Chick Corea,……..
One cool thing back then – we had a “record co-op” across from a major university. So it was cheap to get into some more obscure stuff without selling the farm. New records could be had for about half of retail. A lot of times I would buy albums based on the instrumentation. That’s how I discovered Jean Luc Ponty and a cool band called Camel. A lot of jazz-rock fusion. I was really into electronic stuff like Tomita and Tangerine Dream. I also have a copy of that obscure Godley And Creme box set “Consequences” – the guys from 10CC – it is an experiment in audio … look that one up on Wikipedia. It was described by a music critic after a presentation in Amsterdam (of all places!) as “Sounding like a cross between 10cc, Monty Python, middle period Moody Blues and the least linear moments of the Firesign Theatre” … It’s strange but an amazing listen – that’s where they first used the “Gizmotron” (GIZMO then) guitar device. I still have the first EP from DEVO on STIFF Records I found at the co-op. That’s gotta be worth something? It has a really cool fold out sleeve. Speaking of sleeves – I didn’t have an aversion to 45 singles when a song first hit the radio and came out on 45 since they would have a limited number of picture sleeves when they first hit the stores. Some of those are real collectables. I still have quite a few picture sleeve 45s. The most interesting is Frank Zappa “I Don’t Wanna Get Drafted” of all things! Because the record industry had all that vinyl money coming in they could afford to sign a lot of bands and do more obscure specialty stuff. I read somewhere that only 1 out of 5 bands made it onto the charts so they could take more risks signing bands in hopes not to miss a diamond in the rough. That all changed when Pac Man hit … all those quarters went into video arcades rather than kids buying 45s. Vinyl is, in some ways, a sturdier medium than CDs. For one thing, CDs can become unplayable due to scratches. I had a large CD collection and a number of CDs, and my kids CDs, became unplayable due to scratches over time. But worse is disc rot. Google the article “When Discs Die” “disc rot” is a massive challenge for both archivists and collectors Whereas we can still play records from the beginning of the last century, and many vinyl collectors have records from as far back as the 60”s or later that, after a good record cleaning, sound essentially brand new. A CD record is sounding identical after 100 plays when used on a decent turntable. Funny you mention tubes still being around: I use ”em too :-) (I enjoy the added fullness and warmth imparted by my tube amps). It”s completely understandable that many people don”t want to bother with vinyl. It certainly does take more effort than streaming or downloading. But it does offer a different experience for those who enjoy such things, so there”s a method to the madness. Yes – a deeply scratched CD is a problem and the laser light gets deflected. STP cleaner – lay the playing side of a CD that is badly scratched on a level surface and wet it well with STP cleaner … let that sit for 30 seconds … the chemicals will begin to disolve the clear plastic coating … where the laser shoots through to play the data – if you wait too long … the STP cleaner chemicals will eat a lot of the clear plastic layer on the CD! Also – I saw a crazy video using wood glue to clean vinyl records … it sounds crazy – but it does work! Also – you mention tube amplifiers – that was a much older post – not in this particular post – so … thanks for reading a lot of this site. Please give more interesting comments – you are welcome here.